Smartphone users would be more likely to engage with mobile commerce if their bank provided the service, according to a report conducted by mobile money services company Monitise. More than 50% of UK smartphone users are buying items with their devices, but almost 60% would feel more confident doing so if they could use an app provided by their bank. The Future Foundation report conducted by Monitise, also found that PayPal was the most trusted company to handle mobile payments (60%), followed by banks (48%), Mastercard, Visa or another card (46%), retailers (34%) and mobile network operators (12%). He also said that banks need to build up trust slowly - customers need to be able to bank anywhere with instant access to their balance and transactions before they get into payments. 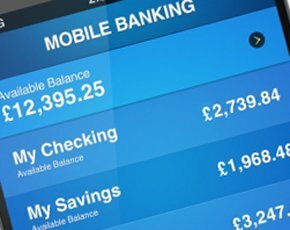 The Monitise research stated that checking a bank balance (59%) was ranked as the most important service banks provided for mobiles, this was followed by checking statements (45%). Green also said that payment models need to be made as simple as possible for small businesses to utilise. “Big corporations are more experimental, opposed to smaller traders who see it as a better cash flow opportunity,” said Green. But he said that there is potential for SMEs to “mix things up” and play around with their retail footprint by offering services such as easy check-out options for customers who regularly visit a store and want to pay quickly and seamlessly. Visa are counting on contactless payments to push mobile payment adoption, but near field communication (NFC) is still far from becoming a ubiquitous technology. Transport for London (TfL) began accepting contactless payments on buses in December 2012 and intends to roll this out to the entire TfL network by early 2014. Visa said by the end of 2013, Europeans will be exceeding 52 million contactless transactions every month. But technologies like NFC, peer-to-peer payments, apps like Barclays’ PingIt, QR codes and wallets are all making ground in the developing mobile payments market. Counting on one technology to catalyse the market would be “very dangerous” said Simon Andrews, CEO of digital mobile agency Addictive. Sadly, yes NFC is still far from going mainstream. I had hoped it would pick up soon. I am quite taken by the idea of cashless, cardless payments. I started getting into the idea of mobile payments when I started using mPowa (http://goo.gl/L03lj) for festivals last year.